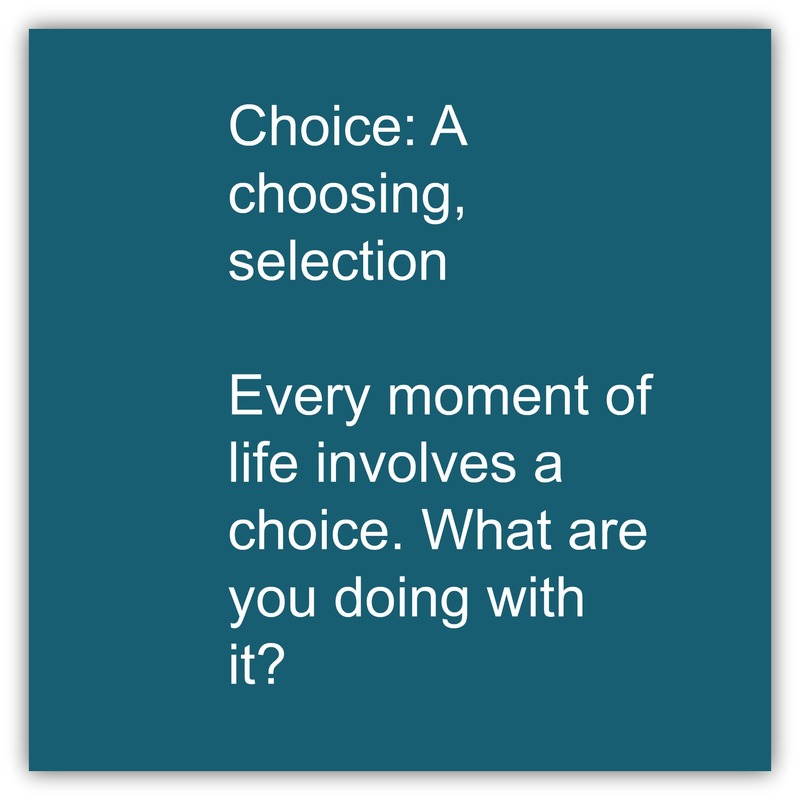 Every Moment of Life Involves a Choice: What are you doing with it? As long as we are breathing, we are making choices. We choose to sit, lay down, eat, drink, study, read, write, and the list goes on from there. We also make larger choices, such as, when to start a project, when to end a project, when to do something for ourselves, or when to devote our time to someone else. I want you to do an exercise. Look at life through a difference lens. Start today. Be aware of your choices. When you make toast for breakfast, think about the choice that you are making. Which setting is the toaster on? What are you topping the bread with? Are you having coffee or water with your breakfast? This sounds mundane, but all of these actions are choices. As your day progresses, continue this exercise, and pay extra attention to the things that you could be doing that you make excuses for. Write down all of the choices that affect your life, your future, and do this for several days (up to a week). After several days, or a week of recording your choices, let’s take a look at what you have. What decisions did you take charge of? What choices did you allow others to make for you? Were you a decision maker, or did you make excuses (which is also a decision)? What did you choose not to do? How have theses choices affected you today? I believe, when we become acutely aware of our daily lives as a series of decisions, it gives us the reality to become the captain and navigate our ship. We no longer say we are too busy, or that someone else is in our way, or that we will face that decision tomorrow. We gain the clarity are in the ocean (of life) and we have to do something other than float! What series of choices will you make today? Which direction will these lead you? Next Post Are you feeling overwhelmed with life’s changes? Break it down into 5 steps.